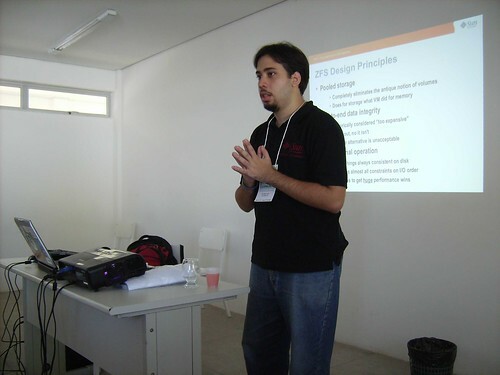 29/10 – Quarta-feira 20:30 – Palestra sobre NetBeans no na VII Semana de TI e Telecomunicações da FIC. 30/10 – Sexta-feira 09:30 – Palestra sobre OpenSolaris também na VII Semana de TI e Telecomunicações da FIC. 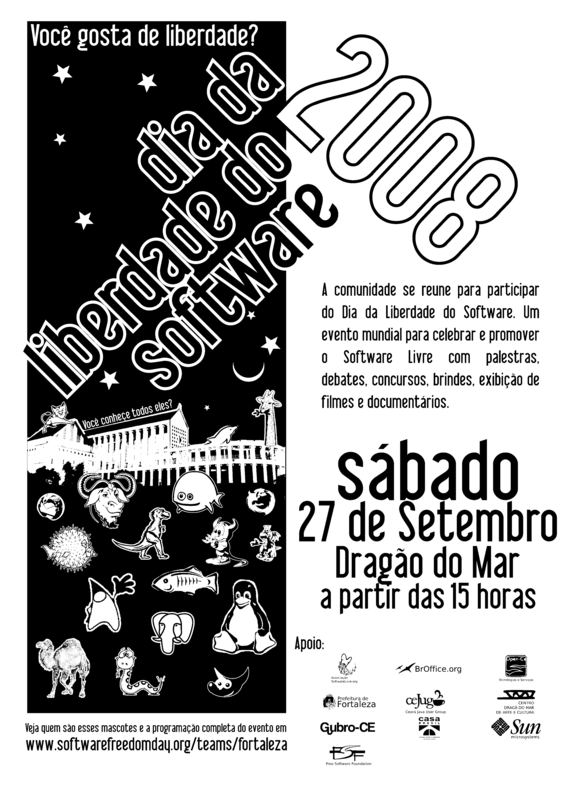 01/11 – Sábado 15:20 – Palestra Apresentando o CEJUG e o poder do Java em Iguatu no Encontro PHP & Java. Take a look in this interesting post of Dan MacAskill, CEO of SmugMug, about his experiences on OpenSolaris servers with ZFS and MySQL. SmugMug is a digital photo sharing website, focused on professional photographers. The site is also famous for storing huge amounts of data (photos) using local filesystems and the Amazon S3 service. Just on S3 are 100 800 terabytes of data (according to this and this). Very interesting pots because he tels in details his experieces over some diferents points of view. 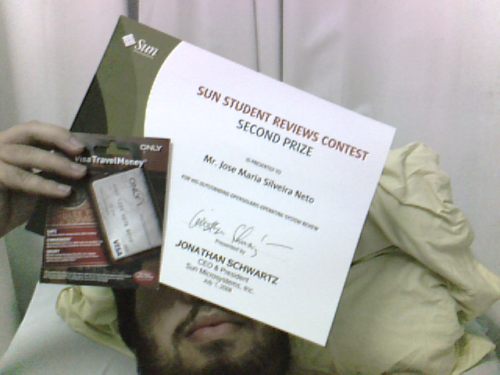 My article Trying to corrupt data in a ZFS mirror (also in portuguese here) won the second prize in the OpenSolaris Student Reviews Contest. My colleague Jonas Dias also won. 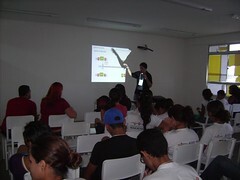 This week I did another presentation outside my city. 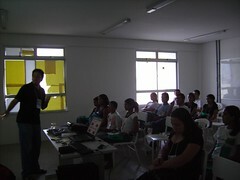 This time it was at Maracanau in the Comsolid, a open source and digital inclusion event. My first presentation was about ZFS filesystem and how you can take benefits from it like pooling storage and self healing. I used as base for examples my last post on it, Trying to corrupt data in a ZFS mirror. 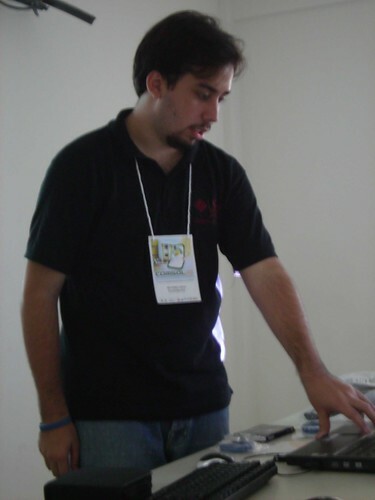 My next talk was about OpenSolaris. We had a lot of questions and interesting about this. 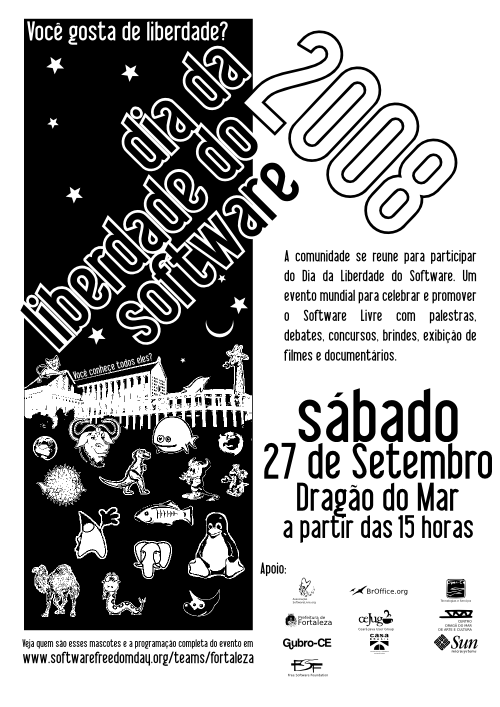 We burned some cds with OpenSolaris 2008.5 and also distributed others versions of OpenSolaris like Solaris 10. And my last presentation was a quick talk about high performance computing, a short version on that I already did before. Was a interesting event mainly because the public was composed primarily by young students with few background on TI. It was a challenge to present some new concepts like pooling storage for those who aren’t familiar with filesystems management. I tried to keep my talk as simpler as I could and focus on daily problems and showing that you can avoid them with some open source technologies. The full album is available at http://flickr.com/photos/silveiraneto/sets/72157605632001295/.